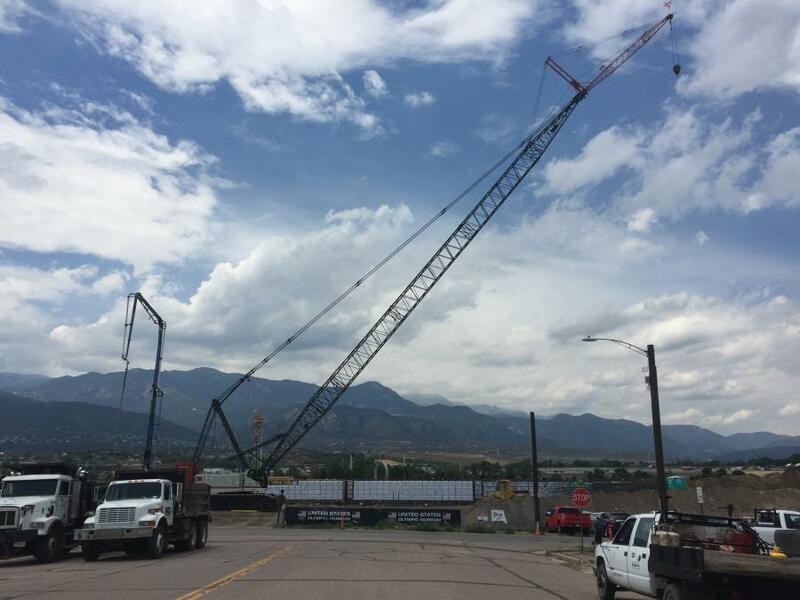 Located more than 6,000 ft. above sea level at the foothills of Rocky Mountains' Pikes Peak, Colorado's $75 million U.S. Olympic Museum will create a gateway to downtown Colorado Springs when it opens in 2019. The three-story building will be the new home of the U.S. Olympic Hall of Fame, and will feature highly interactive exhibit space, a theater, gift shop, café and a simulated broadcast studio. Officials hope the structure will serve as a premier cultural destination, attracting a wide variety of visitors. “We want this to be one of the nation's most iconic museums, and having a world-renowned design and construction team helps make that happen,” said Shockley-Zalabak, who added that bringing the project to fruition was no small feat. “It took leaders in our community and the state working with the United States Olympic Committee to understand the value of the vision. It took collaboration between the state of Colorado, the USOC and local Colorado Springs leaders to provide the leadership necessary to make the vision a reality and to fund that reality. It has taken donors from all over the country to make this happen. 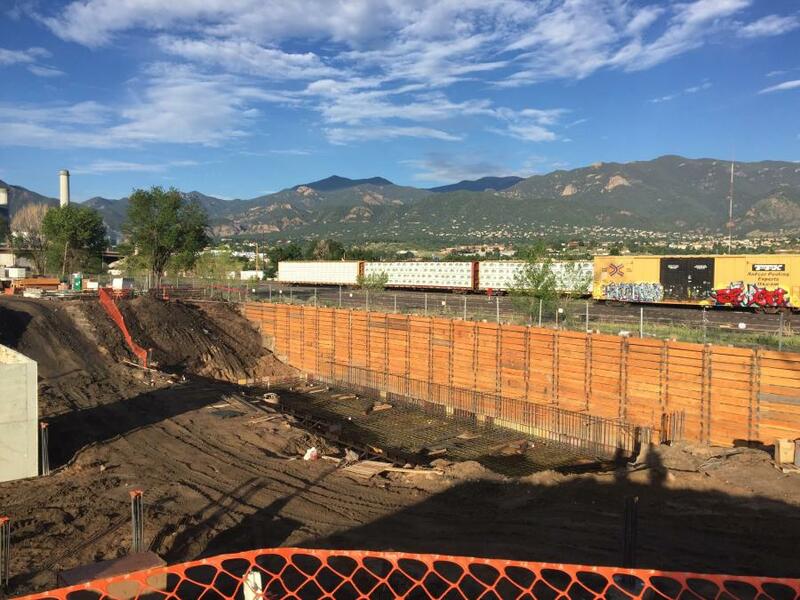 Shockley-Zalabak, the retired University of Colorado at Colorado Springs chancellor, said the time is right to construct the museum. By all accounts, feedback so far has been extremely encouraging. Shockley-Zalabak said the idyllic location is a perfect fit for the new structure. Among the museum's many features will be the highly anticipated Hall of Fame. For contractors involved in the actual construction, the project is not without its hurdles. The U.S. Olympic Museum will be situated just blocks away from the U.S. Olympic Committee headquarters. Just a few minutes from the museum site, the Colorado Springs Olympic Training Center will offer visitors a behind-the-scenes look into the daily lives and training regimens of Team USA. Construction started in early May 2017. 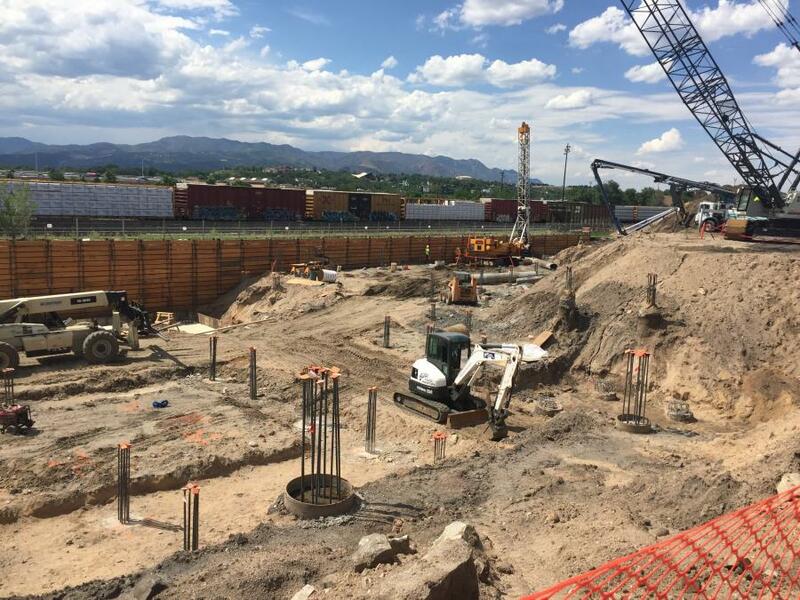 Currently, crews are installing foundation systems, basement floors with under slab electrical and plumbing and basement level structural steel. 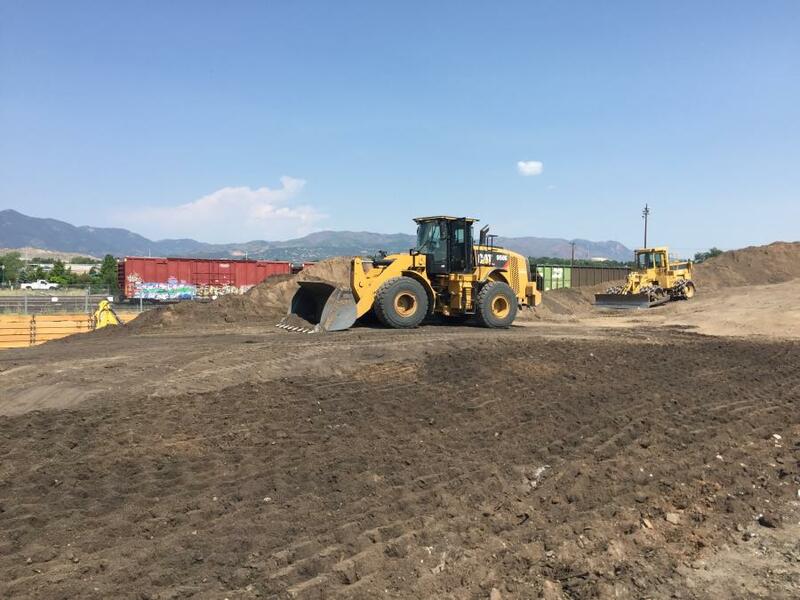 Over lot grading has already been completed, along with structural excavation and deep foundation systems such as drilled piers. 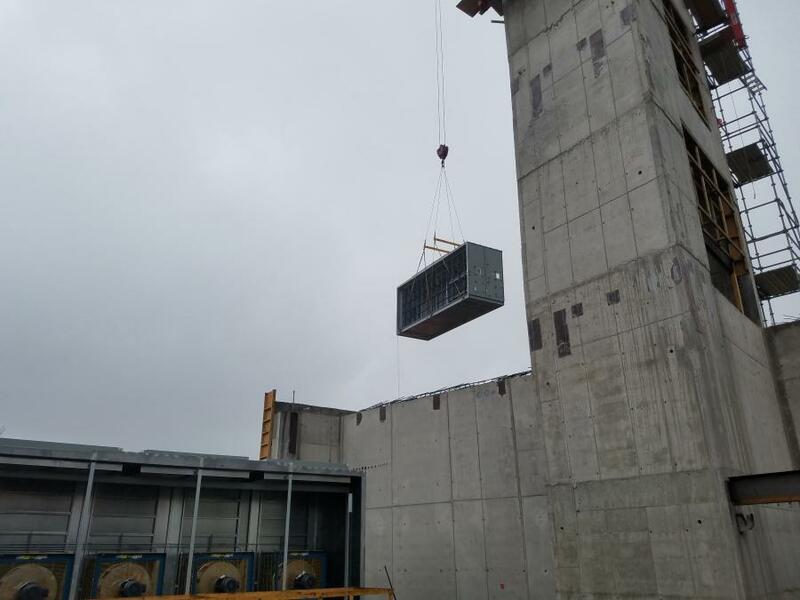 Erection of the structure remains, as well as the installation of the exterior skin system, site work and installation of the exhibit package. Redfern said building a structure of this caliber calls for rethinking every aspect of the typical construction process, with heavy focus on quality control. 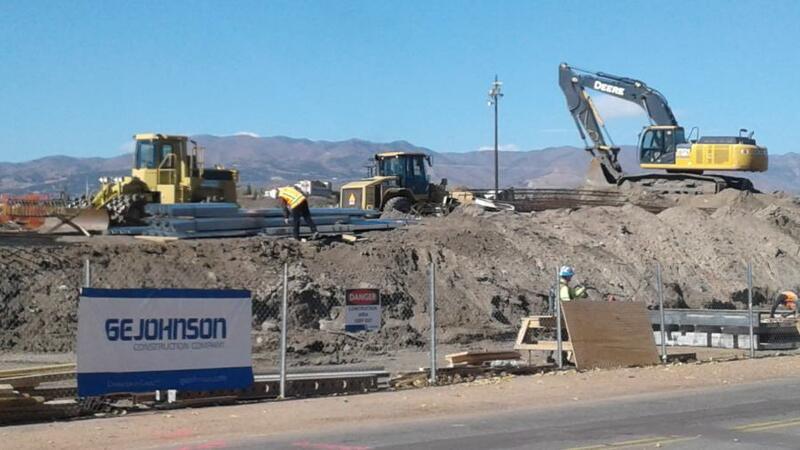 Weather has already been an issue during construction, but crews remain optimistic. The condition of the site prior to construction was level and clear. The project requires close collaboration with the city and adjacent railroad property, to ensure the project is in alignment. A pedestrian bridge is planned to span the railroad tracks and connect at the west side of construction, requiring both preparation and coordination. The structural excavation required shoring to be installed along the south property line, due to the railroad property and close proximity to the tracks. Roughly 45,000 cu. yds. of dirt/material will be moved on the project. Main equipment being used includes a large tracked excavator and front-end loaders, as well as a conventional 250-ton crawler crane. Concrete and structural steel are among the required materials. The most time-consuming part of the work will involve foundation and structure, which will take nine months. Exterior skin and interior finishes are expected to be completed in about 13 months, for an overall 22-month schedule. According to Benjamin Gilmartin, partner of architectural firm Diller Scofidio + Renfro, “The vision is to create a museum that celebrates the U.S. Olympics and tells the stories of U.S. Olympians and Paralympians. We strive to create a museum where the building and the exhibits become one, to give a universal and fully immersive experience to the visitor. The museum will anchor the new City for Champions district within Colorado Springs, and will be the catalyst for urban development. The client envisions the museum as the most accessible museum ever. Gilmartin said telling the stories and feats of the Olympians and Paralympians has been the biggest challenge for the creative team, along with capturing the energy and dynamism of the athletes. The building, which tiers down across multiple levels, is contemporary in style. The project is 60,000 sq. ft., with an exhibit space of 20,000 sq. ft. The design is intended to showcase the experiences of both Olympic and Paralympic athletes. “Visitors enter into the light-filled central atrium and then journey to the top of the building in an elevator, so that all visitors, both able bodied and those with disabilities, travel together to the top, where they start the journey of an Olympic or Paralympic athlete. The exhibits are set along cascading platforms that spiral around the atrium and are connected with a series of ramps. Sustainability plays a key role in construction, with officials pursuing a LEED Silver rating. For Gilmartin and others involved in the project, helping design the new museum is extremely satisfying. Jamie Fabos, chief communications officer, city of Colorado Springs, said because the museum will be the only one of its kind in the nation, it will make Colorado Springs the premier destination for Olympic fans across the globe. A pre-construction feasibility study indicated roughly 350,000 visitors will travel to the city to tour the museum annually, and 80 percent will be from out of state. Officials expect the city's profile to rise with the opening of the Olympic museum nationally, but especially among international travelers.